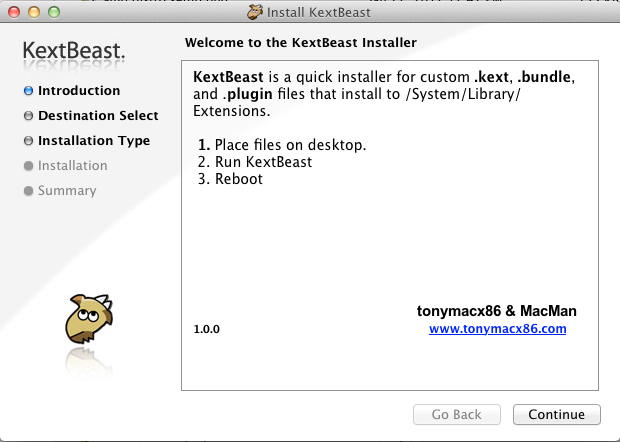 KextBeast is a tool provided by tonymacx86 for installing kexts. It supports Lion and allows you to install kexts to any hard drive partition that you choose (in case you need to install kexts on a cloned hard drive), unlike Kext Helper, a formerly popular kext installer. To install any kext file with Kextbeast, place the desired kexts for installation on your desktop and run the Kextbeast installer. After choosing which drive to install to, the process is fully automated. Then reboot. If everything went well, then hopefully the newly installed kext will do the job.